Galloway and West Dumfries MSP Finlay Carson has backed plans that would allow closed road motorsport events once again take place in Dumfries and Galloway, and across Scotland. 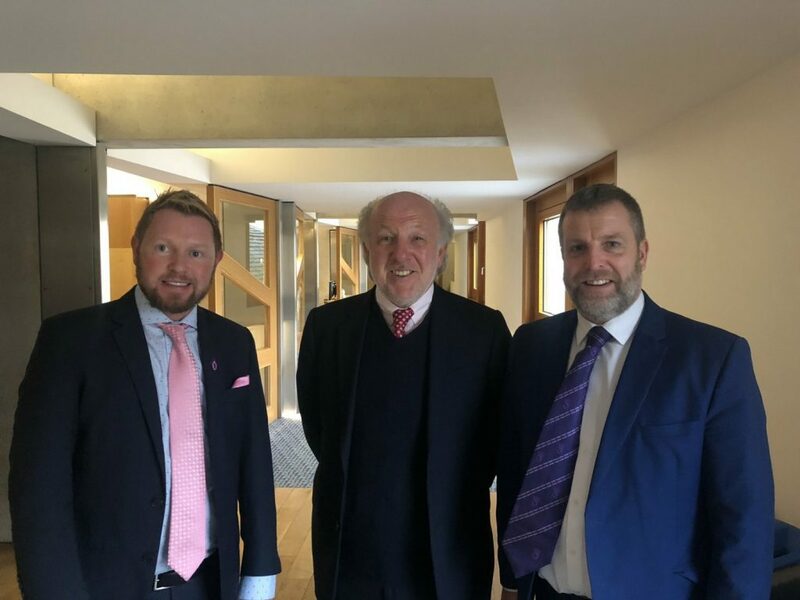 The Scottish Conservative and Unionist MSP held talks with Motorsport UK Chairman David Richards, alongside his Scottish Conservative colleague Jamie Greene MSP to discuss the current consultation being carried out by Transport Scotland. The consultation, in conjunction with the Transport Bill, would enable motorsport events to once again take part on closed roads across Scotland, including Dumfries and Galloway which has been a hotbed for motoring stars over the years. Motorsport UK’s campaigning already helped to change the law in England in 2017 and in Wales in 2018, with Mr Carson confident that Scotland will follow suit this year. With Dumfries and Galloway having produced such champions as David Coulthard, Allan McNish, David Bogie, Barbara and Jock Armstrong, Ross Wylie, Murray Grierson, Innes Ireland and Kirsty Riddick, any road event staged in the region would be sure to generate huge excitement. Commenting Finlay Carson MSP said: “I was absolutely delighted to meet with Dave Richards in order to give my firm backing to these proposals to allow closed road motorsport events again in Dumfries and Galloway. “This region has produced so many wonderfully talented motor racing stars over the years, so I am sure any event would create a real buzz among motoring lovers. “With regards to Dumfries and Galloway in particular, it would assist The Solway Coast and Galloway Hills rallies to use short section of public road to link off road stages. “An economic study of the Jim Clark Rally when it was held in the Borders highlighted the millions it helped to boost the local economy.